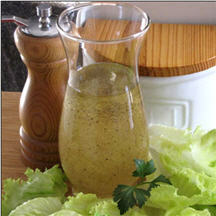 CooksRecipes has quality, kitchen-tested recipes for delicious homemade salad dressings and vinaigrettes. Seasoned rice wine vinegar gives this sweet and tangy vinaigrette its oriental flavor, it's perfect tossed with assorted salad greens or cabbage. 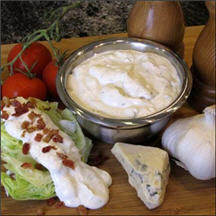 There is just no comparison, homemade blue cheese dressing simply tastes better than store-bought. Go ahead, try this recipe and see for yourself! 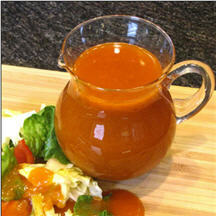 This tomato-based, creamy French dressing has a superb taste that the whole family will enjoy.